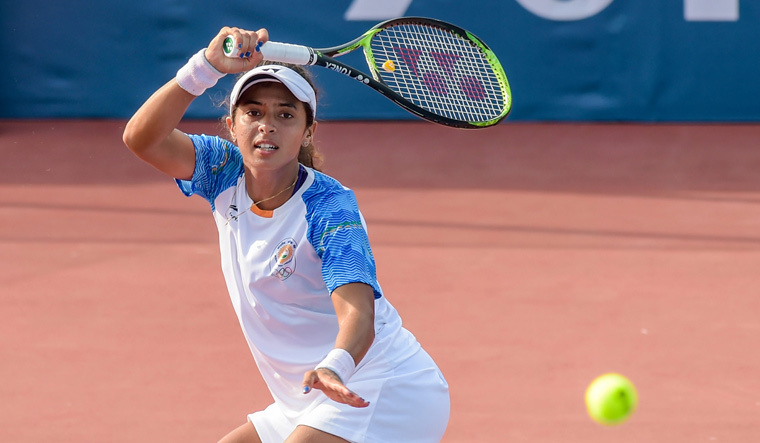 Indian tennis player Ankita Raina settled for a bronze medal at the Asian Games after losing to China's Zhang Shuai in the women's singles semifinal today. Ankita Raina lost 4-6, 6-7 (6) in a gruelling contest that lasted a little over two hours. India's best women's singles performance in the Games came from Sania Mirza, who notched up a silver in the 2006 edition in Doha followed by a bronze in 2010, Guangzhou. With today's bronze, 25-year-old Ankita Raina became only the second Indian woman to have her name in the Asian Games' singles medallists list.